I have said before that I’d started this blogging lark back in 2010 but did not really start blogging until 2011 in November. 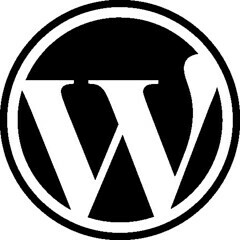 I moved over to WordPress at the very tail end of May this year. Since then my views have grown and grown. Today I’ve gone over the 30,000 view mark and I’m very pleased and excited. My follower count has also steadily grown since I moved to WP. Yesterday I had noticed that my “all-time views” number was rapidly approaching the 30,000 mark, but only in passing and it certainly did not fall in the category of getting noticed properly. To be brutally honest I don’t pay a lot of attention to how may views any particular post pulls in. I stopped looking after I’d just joined WordPress and a review I’d done on Stake Land shot up to over a thousand views in one day. I have never figured out why or how. I do know that just after the Stake Land review my figures dropped back to below what I deemed as normal. No I blogged (and still do) because I wanted to get back into the habit of trying to write everyday. Something that real writers and not just wanna be writers already do. I also blogged because I wanted to put my “two penneth worth” out there, whether anyone else read it or not, I wanted it in black and white and available to be read. My primary love in life is the written word, with movies so close on written words heels that it stopped being a race long ago. I love acting (and would kill to get a chance to do it again) and all aspects of filmmaking. I do blog about these things, of course I do. But…I also write about what I’ve just read or seen in the world of news. I have been writing down the funnier aspects of my life (saving some of the funnier and more poignant times for a book) and I write about things that irritate or provoke me. Since I’ve been with WordPress I’ve been Freshly Pressed Urban Exploration: Off Limits Curiosity can Kill and I’ve met a whole slew of folks that are friendly, erudite, funny and kind. I’ve also met folks who love movies as much as I do and who also seem to have a lifetime love affair with the written word. Thank you to all the great folks who have taken the time to stop by and have a “look” and those who stayed that little bit longer to “like” a post or to comment. Yeah, even though numbers don’t say everything it’s nice to reach a number like that. Nice! Congrats buddy 🙂 Well deserved! You’re welcome, and congratulations. It’s always a nice read when I come over here. I got a total more than 2000 (it’s heading towards 3000) hits on that one post about Criminal Minds that took me 5 minutes to write and was one of my lesser efforts. The ups and downs of popularity remains a mystery. Since that one fluke, the numbers tripled and have leveled out, I’ve now have an audience that’s about the same as yours, mostly ranging around 160 to 225 not counting followers. Because I do both writing and photography (like you do personal/health/other stuff and movies), I really have two audiences and I don’t know how much the groups overlap. No way to figure it out, either, or if there is, too complicated for me. I have found anything longer than 1000 words doesn’t get a lot of readers. Short attention spans? More pictures, less talk works too. In the pictures department, waterfalls, pretty girls (usually my granddaughter! ), dogs, and Arizona are always popular. Funny is more popular than serious. This doesn’t change what I write about. I know if I write something serious — even when it’s controversial — isn’t going to get a lot of readers, at least initially.BUT. I have noticed that posts I wrote months ago may gain momentum over a period of weeks and build a suprisingly big following. Turns out that even in our “instant communications” world, time and persistence count. We are on target to get pounded by what is being described as the biggest storm to ever hit this region. This from one of the “gang” who just happens to be the top meteorologist in the region. Harvey is really good. He says it’s going to be a storm we’ll still be talking about generations from now. That doesn’t bode well, so if I disappear, we probably have no power. With 4 adults, a teenager and 4 dogs, we have nowhere go … and anyhow, all our friends are no better positioned than we are, though they have fewer dogs and aren’t in the middle of the woods. If it’s as bad as Harvey says it will be, I’ll have a lot of material for posts to come. Sounds like the hard way to get material!! Batten down the hatches (whatever that means) and keep your heads down. I hope Harvey is wrong, nothing personal, but that kind of storm doesn’t sound like fun. Take care! !